World Yoshukai Karate offers ages 4 and above instruction in traditional Karate, self-defense, physical conditioning, the use of traditional Karate weapons, respect, manners, and discipline. Mike Culbreth, Master Instructor, a 8th degree Black Belt, instructs all classes, as he has for more than 38 years. The location for all classes is at Westgate Rec Center. The fee for all classes is $60/month. Registration is held the first week of each month at each location. Call (334) 615-3700 for more information. 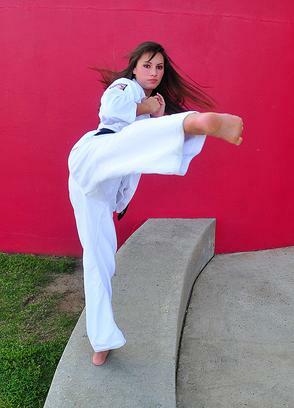 Other Karate classes will be offered at World Yoshukai Karate, 1791 Ross Clark Circle. Call (334) 794-8238 for more information. Tai Chi Chuan is an exercise practiced at a slow and even speed. This non-aggressive Martial Art promotes relaxation, straight posture, good balance, internal strength, coordination, and peace of mind. The Tai Chi movements calm a person’s emotions and focus the mind, helping to improve bodily functions and prevent aging and disease. Registration: Register with the instructor the first class of each month.